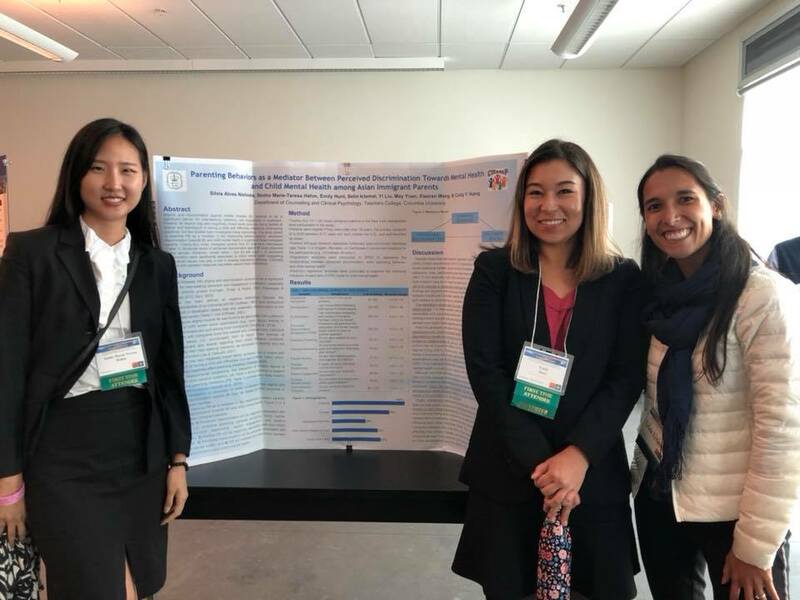 Dr. Huang's research focuses on understanding the cultural factors associated child development and psychopathology for ethnic minority and immigrant youth, and the prevention of psychopathology for these youth. She translates this research into culturally-informed, evidence-based child and family interventions to promote service engagement and utilization for undeserved communities. Dr. Huang earned her Ph.D. in Counseling Psychology from the University of Oregon and completed postdoctoral fellowships in the Division of Prevention and Community Research at Yale School of Medicine and the Asian American Center on Disparities Research at the University of California, Davis. She earned her M.A. and B.A. in Psychology from San Diego State University. Silvia is a second-year doctoral student in Counseling Psychology at Teachers College, Columbia University, where she also received her Master's degree in Clinical Psychology. In her home country, Brazil, she has specialized in Health Psychology and worked in a pediatric hospital. Her research focuses on culturally-informed mental health interventions for multiethnic children and families. Among her personal interests, she enjoys speaking and learning other languages, such as French and Spanish. Emily is a first-year doctoral student in Counseling Psychology at Teachers College, Columbia University. She earned her Master’s in Counseling Psychology from Teacher’s College and her Bachelor’s degree in Psychology and Theater from Wesleyan University. Her research interests focus on both physical and psychological barriers faced by Asian-American individuals and families when it comes to seeking mental health services, racial identity development in multiracial individuals, and sexuality and its impact on emotional well-being. In her free time, she enjoys cooking, hiking, theater, walking her dog, and teaching fitness classes. 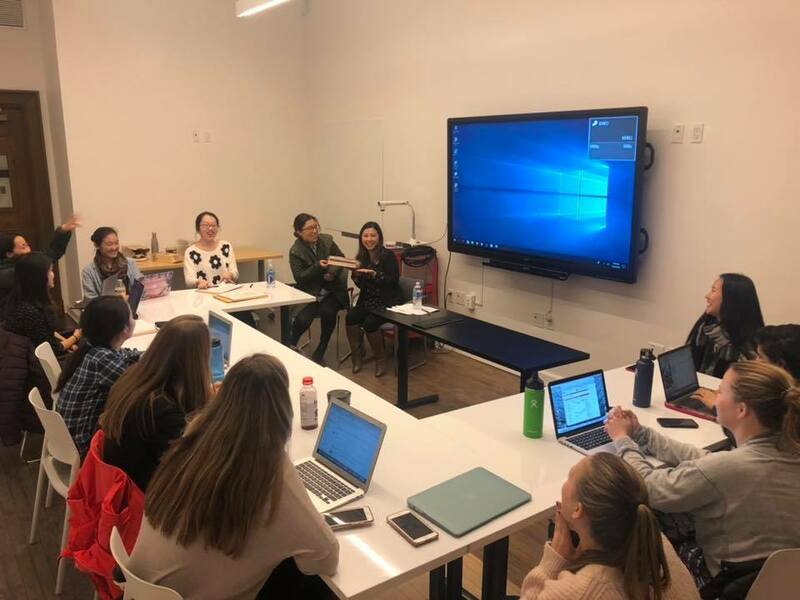 Selin graduated in Counseling Psychology at Teachers College, Columbia University, in 2018 with a focus in bilingual school counseling. She earned her bachelor's degree in Psychology and Spanish from the University of Virginia. Her research interests relate to understanding how cultural factors, including acculturation, enculturation, and linguistics, affect identity and influence mental health in multicultural children. She speaks Turkish and Spanish and hopes to further her linguistic skills by continuing French and starting Arabic. Yi graduated in Counseling Psychology at Teachers College, Columbia University in 2018. Born and raised in China, she received her bachelor's degree in Psychology and Biology from the University of Dayton. Her research interests focus on the impact of the cultural factors on parenting intervention for immigrant families, especially Asian Americans. In her spare time, Yi likes experiencing other cultures while traveling. Seoho is a post-baccalaureate Psychology student at Columbia University. She graduated from University of California, Berkeley with a B.A. in English, and received her M.A. in English Language and Literature from Yonsei University, Korea. While writing her master’s thesis, she rediscovered her fascination with the field of psychology and decided to officially pursue it. Her current research interests include self-injurious and suicidal behavior in adolescents, emotional intelligence and regulation in adolescents, as well as risk factors involved in having a multicultural background. She is Korean-American and has grown up in many different places, including Baltimore, Seoul, Washington DC, Paris, LA, Berkeley, and now New York. Some of her favorite things in life are delicious food, a page-turner, dogs, languages, fresh air and good tunes. Cindy is a first-year master's student in Counseling Psychology at Teachers College, Columbia University. She earned her B.A. with high honors in Psychology from University of California, Davis as well as her single subject English teaching credential and M.A. in Education from University of California, Berkeley. Prior to attending TC, she was a 12th grade teacher for newcomer immigrant students in San Francisco. Her current research interests include bilingualism and English language acquisition among non-alphabetic L1 speakers, parent-child relationships, and intergenerational conflict in Asian immigrant families. She speaks fluent Cantonese and Taishanese (a Chinese dialect). In her free time, she enjoys reading, writing, hiking, and watching Korean dramas. Nyrah is a second-year master's student in the Mental Health Counseling program at Teachers College. She was born and raised in Mumbai, India and earned a bachelor’s degree in Psychology from Haverford College. She is interested in research pertaining to childhood trauma, specifically the psychological and developmental consequences of traumatic events and the patterns of risk and resilience of children exposed to them. Noemie is a second-year master’s student in Clinical Psychology at Teachers College, Columbia University. She earned her bachelor’s degree in Psychology with minors in Biology and Chemistry from Wake Forest University. Her research interests relate to childhood resilience and the parent-child matrix. She speaks French and Czech and enjoys exploring the world. Kailee is a first-year master's student in Counseling Psychology at Teacher's College, Columbia University. Her research interests lie in the intersection of childhood and adolescent atypical development and culturally-informed youth interventions. Born and raised in Los Angeles, California, she received her bachelor's degree in Psychology with honors from Pepperdine University. When she's not studying or in the lab, Kailee is a freelance calligrapher, crafting everything from personalized wedding stationery to wood burned signage. Emily is a second-year master’s student in Counseling Psychology at Teachers College, Columbia University. She earned her B.A. in American Studies and French with High Distinction from the University of Virginia. As an undergraduate, she wrote her Distinguished Majors Thesis on the differences between French and American mothers, focusing on how culture affects parenting styles. Her research interests relate to understanding how cultural factors affect identity and mental health, as well as understanding child and adolescent development more broadly. A few of her favorite things are dogs, reading, and exploring New York City. Patricia is a second-year master's student in Counseling for Mental Health and Wellness at New York University. She earned her bachelor's degree in psychology from California Lutheran University. Her research interests relate to the correlation between early trauma and the development of child psychopathology. She is particularly interested in developing culturally-informed mental health interventions that promote resilience in children and families. Having been born and raised in Egypt, she is bilingual in English and Arabic. In her free time, she loves to read, travel and explore new cultures and cuisines. Yijun is a second-year master's student in Clinical Psychology at Teachers College, Columbia University. She received her bachelor’s degree in Psychology from Pennsylvania State University. Her research interests include child and adolescent stress and well-being, LGBTQ health, and multiculturalism. Stephanie is a second year master’s student in the Counseling Psychology program at Teachers College, Columbia University. Prior to attending TC, she received a bachelor’s degree in education and spent three years as a special educational teacher for children with emotional and behavior disorders. She is currently interested in developing interventions for social emotional learning in children and adolescents. Born and raised in Seattle, she enjoys spending time with her family, walking her dogs, and skiing.